Recently while searching through Fightland, I stumbled upon some of it’s pieces about Panama City. As a Brazilian jiu jitsu practitioner myself I was immediately fascinated with the idea of a martial arts scene in Central America. Three years ago I traveled to Barranquilla, Colombia to do a seminar and help a friend open a mixed martial arts academy called Star Team. 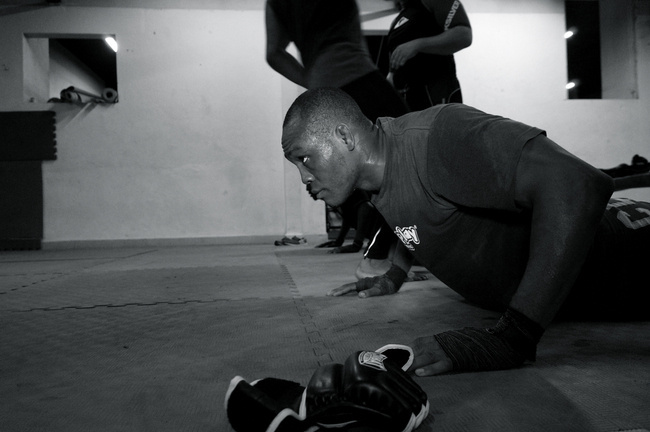 Ever since that trip, Latin American MMA has become a major interest of mine. When I was finished reading the articles I decided my brother and I would go see what all the “hype” was about. When I met Stephen I knew right away that he was going to take good care of us during the trip. When I let him know my liberal views about subjects like present hedonism or no-gi submission grappling, it was immediately apparent what we had in common. The next morning I woke up unusually early to go train at his gym Alley Cat Fitness Foundation. Other parts of South America, like Colombia, are infested with packs of wild dogs. 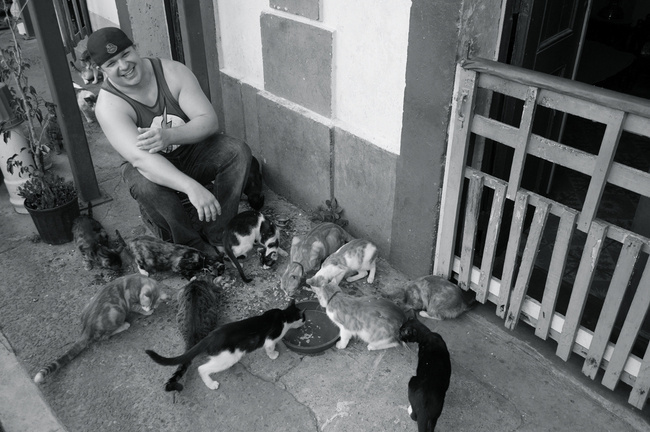 When I arrived in Casco Viejo I noticed instantly that Panama had a different problem—cats. I asked Stephen why there were so many and he told me that “the cats are tougher than the dogs, so the dogs got pushed out.” Around the corner from the gym we met a woman who took care of over thirty street cats in the area. We decided to pay her a visit and see if we could meet some of the toughest cats in Casco. I live at the famous Tristar gym in Canada, and after a long winter, the humid paradise of Casco, Viejo was a climate that took a few days for me to adjust. The whole country was warmer than usual, as an energy crisis after a long dry season forced citizens to cut back on power usage. Air conditioning was very difficult to find. Still, the view from the ocean front gym included a brand new highway completely lit up with colored neon’s. 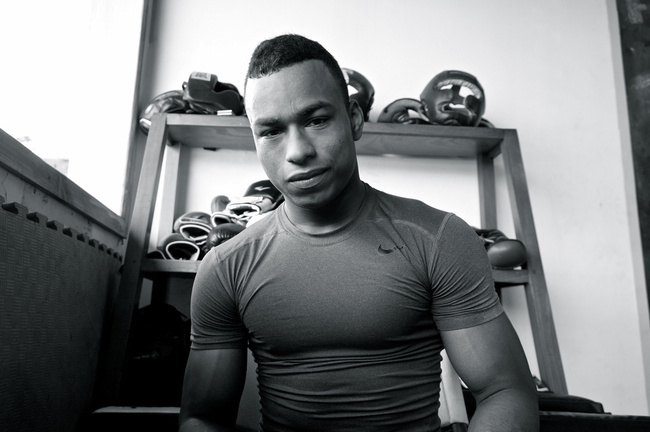 While at the gym, the head BJJ coach, John Boyle, told us about one of their students named Glauber Duncan who recently escaped a building fire next door to the gym. Many of his neighbors died, but he jumped from his second floor balcony to the cement below in his underwear. With everything he owned incinerated and nowhere to go, he showed up to Alley Cat the following morning to join the team. They gave him some extra shorts and equipment, and the uninjured boy has been training religiously since. Naturally, I wanted to learn more about the increase of building fires in the Casco area. I was told that it is a touchy subject for the locals, as they believe the government is performing arson purposely to drive out the lower class population and make way for more expensive developments. Before I was introduced to the team’s top amateur fighter, Jimmy Carillo, I heard about his first submission win in his recent MMA fight. After celebrating and resting, the following Monday Jimmy was scheduled to show up for practice. When he didn’t show up, Stephen & John both knew something was up. When they called Jimmy expecting a "good excuse", he explained to them that there was a gunfight outside his apartment complex and he couldn’t leave the building. 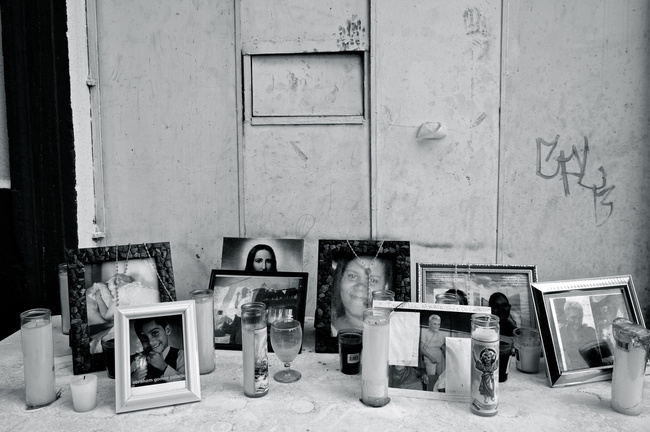 In the El Chorrillo ghetto where Alley Cat's top fighters come from the buildings are often owned by different gangs and gun violence is common. 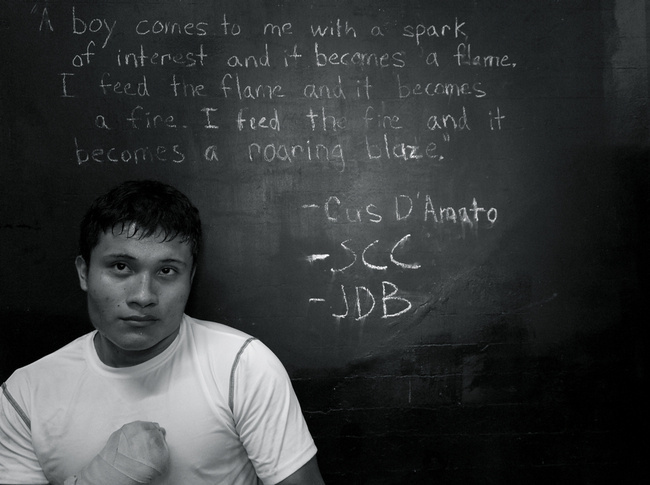 After Roberto Duran, El Chorrillo’s most well known local fighters are the “Brown Brothers”. The lightweight with an eighty-one-inch reach Elton Brown, and his younger twin looking brother Humberto are well-qualified Greco-Roman wrestlers. 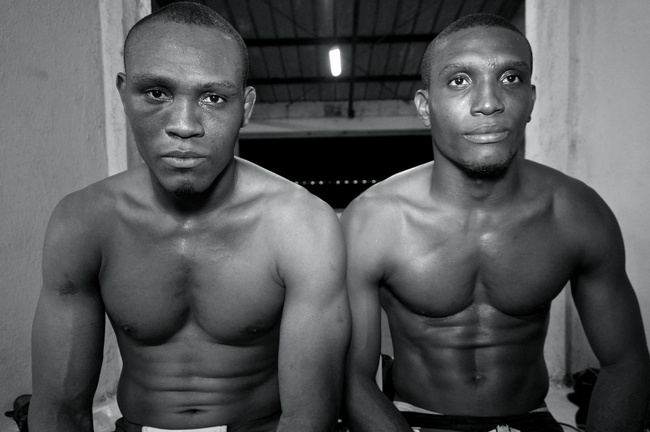 Both are currently pioneering the sport of MMA in Panama. Elton is dropping weight classes to lightweight for his fourteenth professional fight and Humberto is a UFC hopeful aiming for a contract in the featherweight division. The future is promising for these dedicated young talents. Unfortunately, the same cannot be said for many of the people they grew up with in El Chorillo. 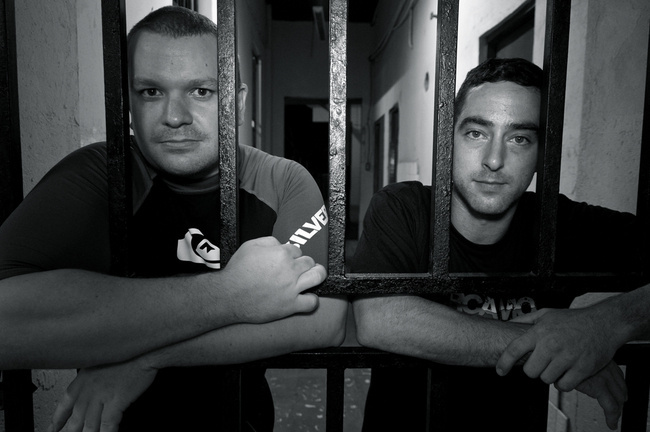 When I stepped into Panama Jiu Jitsu Gym it was a very different vibe than Alley Cat. 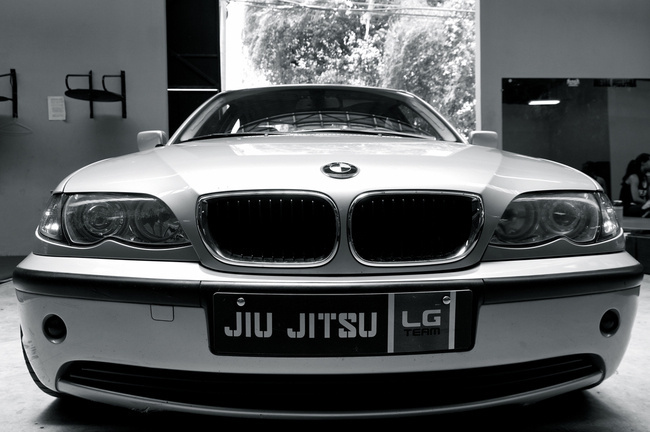 Black Belt Leonardo Gonzalez runs his team of fighters out of a sports complex. With gyms for every martial art and dormitories for professional soccer players, the reality for Leo’s team is the opposite of Stephen's. Leo is a multiple world champion in both wrestling and BJJ. In his gym hang several posters of him with his titles. 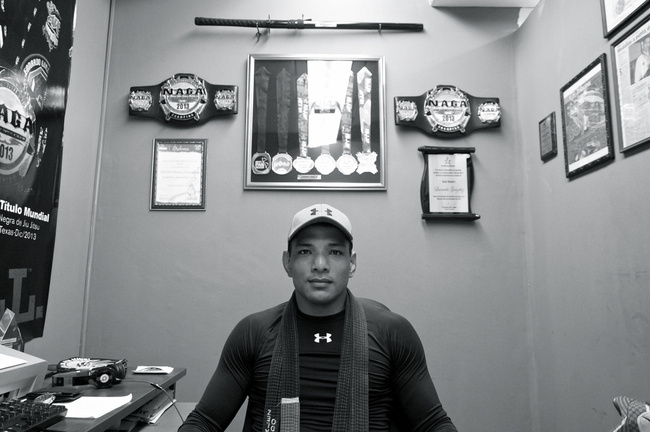 Sponsored by Under Armour and driving a BMW with custom jiu jitsu decals, his success in the Panamanian martial arts community is well known. My Colombian contact from Star Team scheduled a private training session with Leo and some of his higher-ranking students. After some hard rounds we left a good impression on the academy and we look forward to returning soon to train with the champ. It was interesting to experience the dichotomy in both the gyms and the communities. From the state of the art facility with a celebrity coach to the expat foundation that was built from the ground up for Casco’s local impoverished citizens, it seems that there is a place for everyone to train in the big city. On the mats there is no difference between class, color or style. 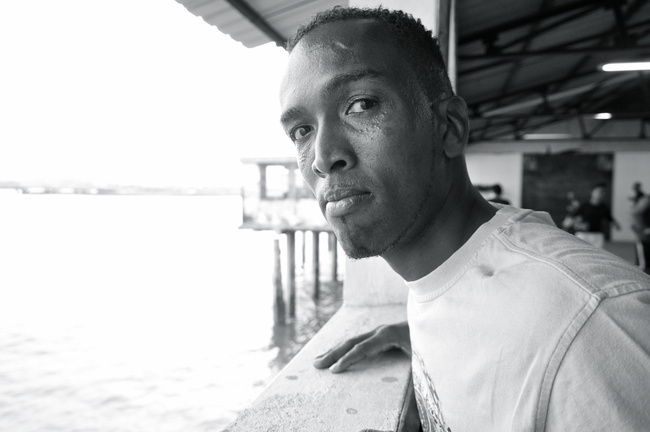 The disciplines of martial arts are a common interest of the people of Panama. After a week of training and a few too many beers on a fishing trip, my brother and I returned to Montreal, Canada humbled and inspired. It seems that Panama really is the “Wild West” right now. 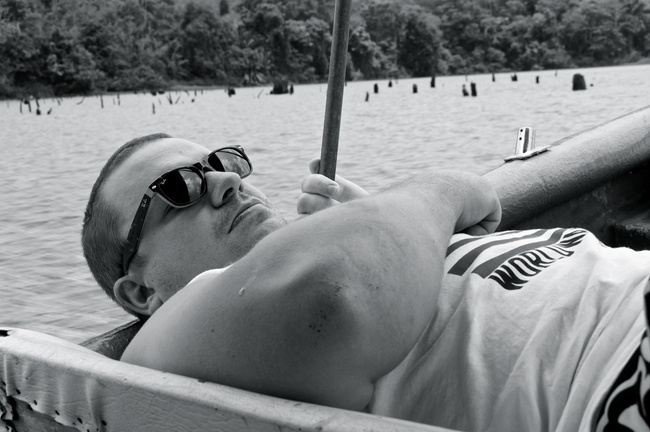 It turns out, with a Panama hat and a dream, a “Gringo Maleante” really can call Panama City a jiu jitsu haven.